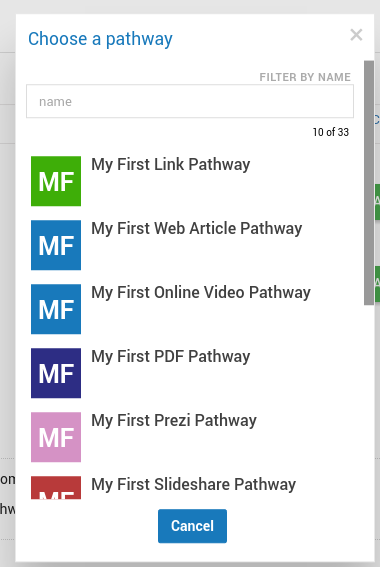 Pathways can be automatically assigned to new members of a group. Step 6: In the dialogue search and select the pathway you want to be automatically assigned to new members of this group. The pathway will be listed on the groups page. Any new members added to this group will be automatically assigned the listed pathways.